After being inspired by the video I saw of a Max hot box here on Script Spot I decided to work on my own. So here is the first version, its only a beta so some bugs or problems are to be expected. I am giving it out early as I want to get as much feedback as possible I am currently debating whether to follow the Maya route or do something a bit different. There is many manners to save notes to the scene. Usually I put notes to dummy helpers with descriptive names and location to remind me something for concrete object, layer or the whole scene, so I use multiple targets to hold my notes, and any 'popup' persistent callbacks not sound good to me. Also I intend to control which of them to see on loading, so, this helper plugin is written mainly for my workflow, but hope it`s welcome to someone else. 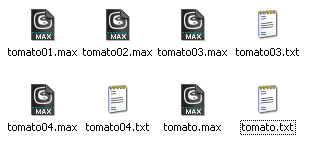 This 'bean script' just open notes from text file. 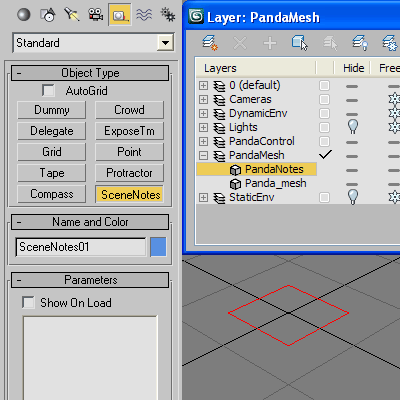 but it not create or add something to the scene file. some major notes without opening the scene file. just open it in your default text editor (e.g. NotePad).